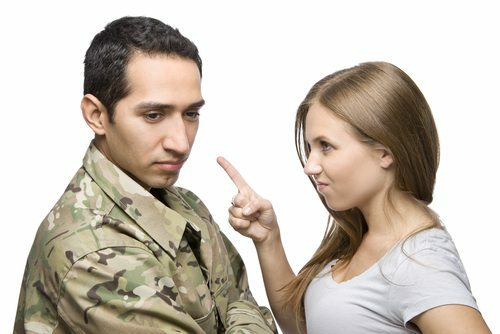 How the SCRA Affects a Military Divorce | Mindi Lasley, P.A. How the SCRA Affects a Military Divorce | Mindi Lasley, P.A. While members of the military, be it the Army, Navy, U.S. Coast Guard, the National Guard, the Marines, or the Air Force, are subject to the same laws as civilians when it comes to family law, there are some special provisions for servicemembers. The Servicemembers Civil Relief Act (SCRA) provides relief for individuals in the military for whom a civil suit would impact their ability to complete their military service. Here’s what you need to know about how the SCRA can affect a military divorce. What Does the SCRA Do? At its most basic, the Servicemembers Civil Relief Act (SCRA) allows a servicemember to be involved in a civil suit by forcing the delay of the suit while the servicemember completes his or her service. For example, if a military spouse filed divorce papers while his or her spouse was deployed, the spouse could invoke the SCRA in order to delay the case while he or she completes the service. This delay is typically 90 days, but another delay can be instituted if the servicemember can show good cause as to why he or she is still unable to be involved in the case due to military obligations. Is Everyone Eligible for the SCRA? Not all who are in the military qualify for the SCRA. First, a servicemember must be active in the military or within 90 days of release from the military. It must be able to be shown that the servicemember’s military obligations would prevent them from being involved in a case in the time that a case would normally take. Only servicemembers are eligible for the SCRA, and not their immediate family members. For example, if the servicemember filed divorce proceedings, his or her spouse could not invoke the SCRA. The SCRA does not postpone a divorce indefinitely. If you are a servicemember or the spouse of a servicemember and are considering a divorce or are already involved in one, don’t hesitate to contact an experienced military divorce attorney. It’s critical that you understand your rights and how the SCRA may impact your divorce proceedings. Mindi Lasley, P.A. will provide you with aggressive and comprehensive legal representation during this difficult time. Call for a consultation to discuss the specifics of your case at (813) 873-9047. Attorney Lasley is available to assist you.